Selling your home is an extremely emotional and quite stressful time. It’s described as being one of the most stressful moments of our lives, alongside divorce and death! divorce! Due to the large amount of money involved and the life-changing event that is going to take place, it’s no wonder that house selling and the housing market, is a national obsession. When people come to sell their homes, it’s not a decision that they will have taken over night. It would be based upon a need to move because of an increasing family size, downsizing to a smaller home or relocating for a better lifestyle or job. Amongst this cocktail of highly charged human emotions, the house seller will have spent a considerable amount of time thinking through their plans to sell, when to put their house on the market and what they plan to do next. The starting point is when to put the house on the market. People have different opinions as to the optimum or best time, but a commonly held belief is that it’s always good to market a home at the beginning of spring. However, it is often the case that everybody follows this same idea and a large number of house sellers all go to the market at the same time, and therefore your house risks being one of many and therefore lost and crowded out against the competition. Because at any one time, there are only a limited number of buyers on the lookout for a new home. 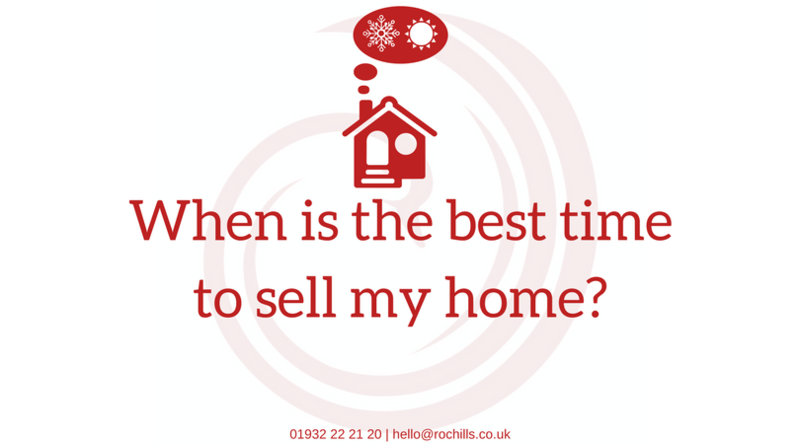 The best time to market is generally when there are more buyers than sellers and this drive interest to your property. Generally the 1st quarter of the year is when there are low numbers of properties while an increasing number of fresh buyers. It is therefore worth speaking with your estate agent who will know the demand and stock level at any one time.